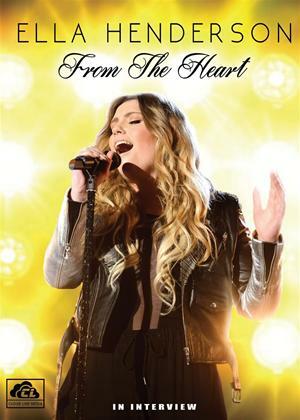 When sixteen-year-old Ella Henderson arrived on stage for her live audition on British TV talent show X-Factor, her heart-breaking rendition of a self-penned composition, Missed, stunned both the audiences and the judges. For three minutes, they sat in silence and witnessed a phenomenal display of pure talent unleashed, delivered with a soul and integrity beyond Ella s years. Despite bowing out of the competition in sixth place, the young singer was clearly not only the most natural singer to emerge on the X-Factor during 2012, but arguably the greatest performer ever to have appeared on the show, and after her departure she began developing a solo career. With the release of her debut album, Chapter One, in 2014, Ella has confirmed her initial promise and become a commercial and critical phenomenon both in her native Britain and across the globe. This are features interviews from across her brief career in which she discusses her music, her influences, her life and her sudden celebrity in detail, and they capture a rising star who s passionate, driven and determined to bring something new into modern music.